​The Ken Fashionistas dolls stay cool with trendy looks and individual style from sporty to casual to preppy. 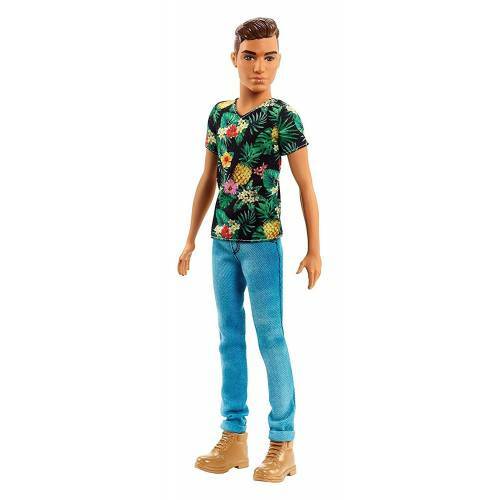 Ken doll is dressed outfit complete with a pair of shoes. The shirt sports a trendy silhouette; the bottoms are casually cool; and the shoes complete the look. Collect them all to expand the story telling fun (each sold separately, subject to availability). Includes Ken Fashionistas doll wearing fashions and shoes. Doll cannot stand alone. Colours and decorations may vary.